"Happy midnight, my fellow Niteowls..."
Ashley Poston’s fangirl heart has taken her everywhere, from the houses of Hollywood screenwriters to backstage at music festivals to cosplaying at geeky conventions. She graduated with a BA in English from the University of South Carolina, and now lives in New York City where she can occasionally be seen sitting in coffee shops doing what she does best—procrastinating. Tweet her at @ashposton and read her blog at www.casuallybeingweird.com. This is one for your summer read list! Short, clever, dark, and some great snarky quirkiness is to be found! This one although a book two you can read these in any order. Some of the same characters from book one are floating around in this one but it won't make any difference on which order you read them in. 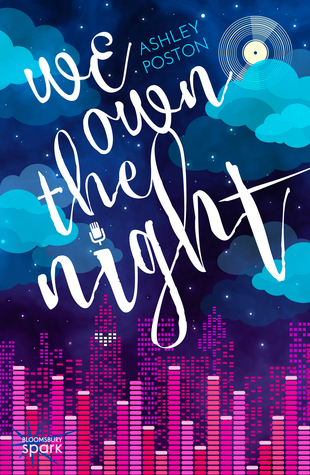 If your looking for a fast summer read look no further than We Own the Night!